Over 30 Years Experience in Dog Breeding and Training for show dogs and family pets! 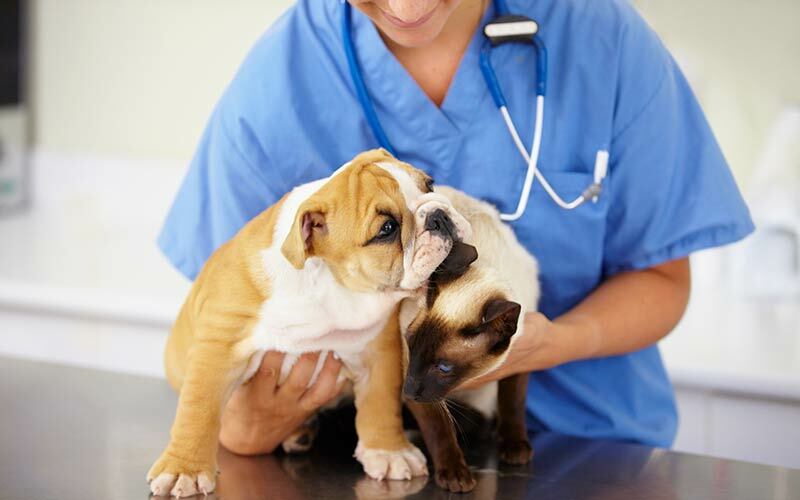 The vet staff is very knowledgeable and they have taken very good care of my animals for many years. They specialize in heart problems for dogs and saved my dog’s life. The extra medications made her life very comfortable for several years. I found the staff, and both doctors, to be very curteous & kind. I have a HUgE German Shepard, who is a big chicken. Unfortunately, fear makes him a little scary, and we have been through several vets. Super courteous staff, knowledgeable and followed up with me before I even came in for my appointment on some testing/lab work pricing I was requesting. I will be bringing all my animals here–3 dogs and 2 cats. We have had two cats at the Watt Ave Pet Hospital since 2007 or so. We primarily interact with Dr. Wills. Both the front desk and vet staff have been very helpful in every respect, including putting to sleep one stray kitten we nurtured until she succumbed to FIV. Watt Ave Vet Hospital has been our third vet since we got our Cane Corso. None of the other ones could handle him and wouldn’t get near him. Dr. Wills was able to get him calm enough to give him a very thorough examination and we have now found our new vet. Copyright© 2017 Watt Avenue Pet Hospital. *Nurses on Duty For Hospitalized Cases As Needed.